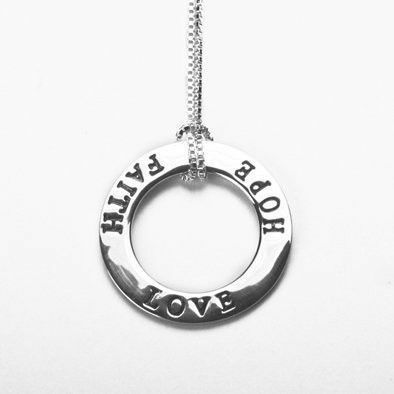 This charming and trendy necklace features a sterling silver circle which measures Approximately 7/8" in Diameter. 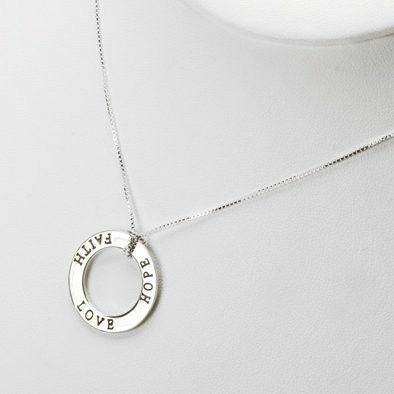 On the circle the words "Hope", "Faith" and "Love" are inscribed. It's a beautiful piece of jewelry that is sure to inspire warm thoughts. 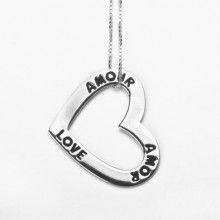 This necklace comes with a 16" sterling silver chain which features a 1" extratension.